This program must be booked at least 2 weeks in advance. How does food keep our bodies healthy? Why should we "eat a rainbow" every day? 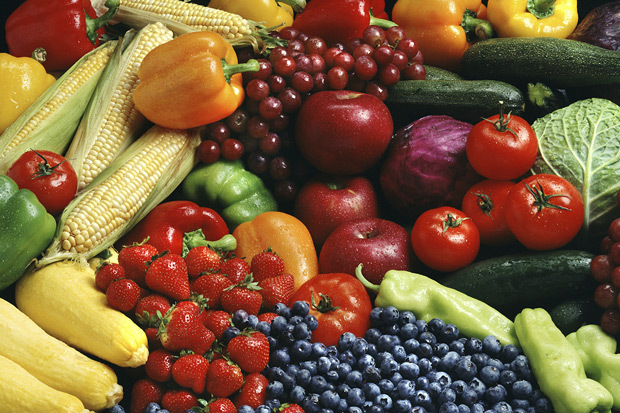 Students explore these questions with activities focused on the science of healthy foods. A "tasting lab" activity puts special emphasis on the importance of eating a variety of fruits and vegetables. NOTE: The "tasting lab" activity involves smelling and tasting a variety of fruits and vegetables. If a student has food allergies or sensitivities, please email scienceplayground@omsi.edu to indicate restrictions at least one week before the lab day. We will substitute appropriate non-allergenic materials. This program takes place in the Discovery Lab in the Science Playground Exhibit Hall. Combine this program with a field trip to the museum.